Publishing is a huge industry. But a major challenge facing the publishing industry is digital transformation. There was a time when print was the primary form of publishing. Most books, magazines, newspapers and any other reading material were published on paper. However, since the arrival of the Internet as well as its rapid progress and acceptance, the publishing industry has seen a complete change in its business model. Today, digital media has taken over publishing. While there is no doubt that there are still some book lovers out there who refuse to adopt this change and who still stick to the printed version of their books, the fact is that with increased competition and novel ideas in the publishing industry, publishing companies have to take measures to stay distinct. They also have to accept the wave of digital transformation if they want to continue to succeed. The opportunity to become an authority in your niche marketplace. The assistance you need to understand publishing platforms, mediums, and user requirements. The expertise to create and design a publishing platform where you can publish your content and build this content in a manner that would attract new members. 198TILG VA Agency is the ultimate solution for those seeking virtual assistance for their publishing business. The agency has a presence in 198 to 200 Facebook Groups per nation, LinkedIn groups per nation, and Pinterest boards per nation. Working with 198ITLG VA can help your agency become stronger as well as allow you to penetrate your target audience more effectively. All our virtual assistants are a member of The Ike Lemuwa CEO Networks. The publishing industry has seen a wave of new talent. People are becoming aware of the ease with which they can become authors. Writing and publishing an eBook, for example, is something that many businesses are now doing as part of their promotional and marketing campaign. However, it is important to be able to filter out the right project for publishing. The publishing process may have become easier, but the quality requirements remain the same. If you plan to publish something as part of your business, it is best to allow a mass publishing support virtual assistant to handle all the details of such a project. You will not only have to ensure the book/poetry/ is of a very high standard but also focus on the fact that the project in question is promoted successfully. Each published material has a target audience, and this audience requires quality. Your publishing support virtual assistant can help you with several publishing-related tasks including editing, proofreading, pre-marketing, marketing and post-marketing. Monitoring sales, dealing with the competition, manage product pricing, etc. are a few other, related tasks. Overall, a 198TILG mass publishing virtual assistant can help you make the published product a success. According to statistics provided by eMarketer, retail eCommerce sales are expected to increase to $4.058 trillion in 2020. This constitutes nearly 14.6% of total retail spending. Also, a report by the Center for Retail Research shows that the online retail sector will be the primary driver of growth in the European and North American retail markets. It is thus evident that eCommerce will continue to be one of the fastest mediums through which businesses can sell their products and services. However, for an eCommerce business to be successful, your eCommerce portal should have some basic elements. These include mobile responsiveness, data security, simplicity and ease of use, relevant and accurate product information (with images, videos and other details if and when required), a search bar, attractive colors, product reviews and recommendations, reliable and fast shipping service and multiple payment options. Research and upload the most popular and hottest selling items in your store with proper descriptions, images, and other relevant details. Optimize your product line by targeting the right demographics and presenting the products in a manner that would attract your target audience. Ensure the product content and eCommerce portal text is SEO-optimized and would help with search engine rankings. Develop, execute and monitor social media mass campaigns on an hourly, daily or a monthly basis. Ensure that product reviews are populated on all popular platforms such as Google, Bing, Yahoo and other local, regional and national advertisement and consumer portals. Craft the right sales funnels for each product. Design and upload the most effective eCommerce sales videos that will allow you to promote your products across multiple platforms. Conduct a comprehensive social media marketing campaign to ensure products get maximum visibility and exposure on most popular social media platforms such as Facebook, Twitter, Google, Instagram, and Pinterest. Effectively use customer testimonials to generate interest and to drive traffic to your eCommerce store. Whether you are an Amazon seller, run an online store on eBay or have your independent eCommerce platform, 198TLG VA Agency is here to help you. At 198TILG VA Agency, we have a team of Amazon support virtual assistants that have undergone extensive training and have an array of skills that will ensure that your products are promoted on your Amazon store on an hourly, daily, weekly and monthly basis. If you run your online business on eBay, our eCommerce Virtual Assistants can help you with order processing, inventory management, social media campaigns and eBay store management 24/7. eCommerce will be the future of the retail industry. If you want to be successful, you will need to have an effective, efficient and well-managed eCommerce portal. Our eCommerce Virtual Assistants can help your store become more profitable and more successful. In today's highly competitive business environment, identifying, attracting and getting corporate sponsors can be fairly challenging. Often, corporations miss great sponsorship opportunities mainly because they did not have the relevant information or because they did not have the resources to invest in identifying potential sponsors. That is where Corporate Sponsors Virtual Assistant support can come in very handy. Imagine having access to the research and administrative skills of a highly trained corporate sponsor virtual assistant. They can help you build relationships before you even need their sponsorship. In other words, the right corporate sponsors virtual assistant can help you identify lucrative partnerships and joint ventures that will benefit you in the long run. This way, you won't have to wait until the last minute before you start researching for possible sponsors who might be a good fit for your organization. Finding the right corporations that would be a good match for you and would be interested in working with you by conducting in-depth research. You have to keep in mind that sponsors are not just lying around waiting to be approached nor do they agree to sponsor every organization that approaches them. Research is required to find the right fit and a good and efficient corporate sponsor virtual assistant can do that for you. Formulate a database of at least 100 to 1000 corporations that fit the profile of your corporation and would be interested in sponsoring you, if not today, at a later date. This will require proper research and planning for the long-term. Crafting the right message for potential sponsors so that they would be interested in partnering up with you and supporting your project/venture/business. Writing the right content can be a game-changer and will again require both content writing skills and research skills which a well-trained corporate sponsor virtual assistant is likely to have. Create a complete marketing campaign that would comprise of advertisements, press releases, marketing articles and blogs, white papers, video testimonials and other related promotional material that is specifically designed to attract sponsors and develop long-term relationships with them. Communicate to these potential sponsors that you care about their goals as well and are interested in creating and building a positive, long-term relationship. This relationship should be mutually beneficial, and this message must be communicated to potential sponsors. Work together with the corporate sponsors by jointly sponsoring an event, crafting effective content, publishing it and working together for the overall betterment of both parties as well as the community. 198Corporate Sponsors Marketplace USA, and 198TILG Corporate Sponsors Support Virtual Assistant Private Label Rights work to support members of The Ike Lemuwa CEO Networks, USA in over 198 to 200 nations. 198TILG Corporate Sponsors Support Virtual Assistants Agency can help you find the right corporate sponsors virtual assistant so that you can identify corporate sponsors that would be a good match for your organization. These virtual assistants can work exclusively on this particular task and formulate a comprehensive corporate sponsorship strategy that would benefit you both in the short-term and the long-term. Many organizations fail to recognize the power of our youth. This invisible power has the potential to help you promote your upcoming events, provide them greater visibility and generate interest among your target audience. If you’re wondering how you can get access to this student power, you should be aware that there are hundreds and thousands of students from different nations across the globe who are able and willing to support and promote your major events. These mass students virtual assistant support teams can help you organize local, regional and national campaigns. And you should not think that this type of support is not good enough or effective enough because there have been many campaigns that have been sponsored and run solely by students from different nations. Mass Student Virtual Assistants are motivated and energetic, and when they believe in a cause, they go out of their way to make sure it gets the necessary exposure. Mass Student Virtual Assistants are tech savvy and can help you promote your event/project/campaign using the latest technological tools and services. Mass Student Virtual Assistants are social media experts, and for most organizations, that is a great advantage. These mass student virtual assistants can help you get on the right social media platforms and can also help you garner greater exposure on these platforms. Mass Student Virtual Assistants are most likely to work for you for free or at very minimal rates mainly because they want to get experience and learn from real-life business events. Mass Student Virtual Assistants are sincere, honest and hardworking. These are qualities that are hard to find and qualities that every business needs to promote their products and services. 198Student Supports Marketplace, USA and 198TILG Mass Student Support Virtual Assistant Private Label Right work to support members of The Ike Lemuwa CEO Networks, USA, in over 198 to 200 nations. Whether you need local mass student virtual assistant support or regional or national or global, 198Student Supports Marketplace has the right Mass Student Support Virtual Assistant teams that are qualified and well-trained to help you deal with tasks and event management activities that require additional effort. Competition in most industries is extremely tough these days. Not only do businesses have to compete with local organizations but there are also global competitors who are targeting customers worldwide. If you want to stand apart and if you want to create a competitive advantage, you will have to do something different. A distinct competitive advantage can be achieved if you find the right target markets and identify the right methods to penetrate these markets. There is no doubt that most businesses have sales and marketing teams that engage in product visibility and exposure but hiring additional support in the form of student virtual assistants can give your business and your product marketing efforts an additional boost. You can contact 198TLG VA Agency for additional information in this regard. Film promotion can be a daunting task. Not only do you require extensive budgets for effective promotion, but you also need the right kind of people to help you do the many tasks that are necessary for effective film promotion. It is not always easy to hire many people as those promoting the films may be operating on a tight budget or may not have easy access to people who have the necessary skills to promote the film properly. Promote your film worldwide with an online team of virtual support assistants who are specifically dedicated to this particular task. Remember, when you use your office assistant, promoting the film is an additional task for them. But when you hire film promotion virtual assistants, they know that their main project is to promote the film. Garner interest in the local and regional media with the primary objective of gaining visibility, attracting attention and motivating news channels and media outlets to follow your film and talk about it on their platforms (whether print, radio, TV or online). If you are looking for film promotion expertise and help, look no further. 198TILG Film Production VA Agency has a team of film promotion virtual assistants that are well-trained in the art of film promotion. We offer services in over 198 to 200 nations, and our goal is to recruit and make available to film producers, directors, scriptwriters and other people associated with the production of the film to help them test their ideas and determine the potential of their film project. Producing and directing a film is not a small project. There are many people involved in this venture, and each one puts in a great deal of effort to get a first-class output. All this effort can be a complete waste if the project/film in question is not something that is likely to generate interest. When you use a 198TILG Film Promotion Virtual Assistant, they will conduct an idea test to help you figure out whether your idea is worth pursuing. If you decide to pursue it, a film promotion virtual assistant can help you short-list people who will be the right fit for the film project and would likely play an important role in the success of the venture. This could include cast members, graphic assistants, choreographers, dress designers, makeup artists, set designers, etc. The point is that a film project is a huge undertaking. It involves people from different segments – people who will be required to work together, in harmony. Virtual assistants can help you find the right people for the right task. Finally, a film promotion virtual assistant can help you promote the final product to your target audience. This will include generating attention on all major media platforms, creating buzz on social media, organizing promotional events and activities and overall providing increased visibility to your film. 198Social Media Marketplace, USA and 198TILG Virtual Assistant Support private label rights to support members of The Ike Lemuwa CEO Networks, USA in over 198 to 200 nations. The 198TILG CEO VA Support Agency is a division of The Ike Lemuwa Group. 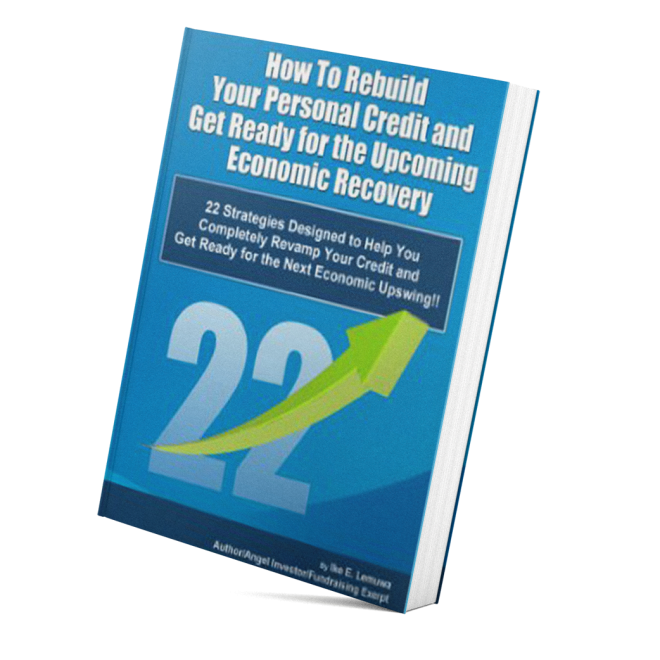 It was created to provide members of 198TILG CEO Networks CEO Branding Virtual Assistance. This means that 198TILG is engaged in providing new and emerging CEOs branding VA support, mass media campaign VA Support services, mass social media campaign social services and mass Facebook ad campaign support services. 198TILG CEO VA Agencies are present in all the 200 nations, providing virtual assistance support services. All social media campaign support virtual assistant teams are not created equal. If you want to find the right team that suits your needs and that fits your expectations and goals, you need to explore 198TIILG Mass Social Media Campaign Support so that you can create local, regional, national and global mass social media campaigns that target your specific niche marketplace. Admin Support VA for both business and personal tasks. Social Media Support VA to help you generate greater visibility and exposure by creating and managing an effective social media campaign. eBay Seller VA to help you manage your online business on eBay. Web Developer VA to help you with any web-related tasks that may not be your area of expertise or tasks that you cannot complete because of your busy schedule. As technology continues to advance and as the Internet continues to connect people across the globe, the virtual assistant world is rapidly expanding. We have created a platform where you can gain access to an expert team of virtual assistants. We have a very comprehensive screening process for all our VAs' which includes a thorough analysis of their written, verbal and research skills. Also, all our virtual assistant team members undergo comprehensive reference checks and are registered and licensed. Our goal is to match our client's needs with our VA team members’ skills. By doing so, we can create an excellent collaboration that would be mutually beneficial for the client as well as the VA. If you are in need of virtual assistance, you need to contact us with your requirements. Whether its social media support, mass marketing support, support for your business on Amazon or eBay or web development support, you can count on us to find the right fit for you and your needs. It is our commitment that with our highly-trained and experienced VAs, you will be able to reap the benefits of both administrative and analytical support. Our goal is not to replace your personal assistants but to enhance your performance and productivity by offering you additional support. It is a fact that most CEOs have a personal assistant. This personal assistant is generally the go-to guy for the CEO for all their daily needs – whether it’s setting appointments, scheduling meetings, planning business trips, organizing internal meetings, etc. However, the fact is that not all personal assistants are created equal. And personal assistants do not have command on all elements of a business. They may be good at administrative and organizational tasks, but when it comes to out-of-the-box, innovative and creative assistance, your personal assistant may not be the right person to turn to. That is mainly because when you hire a personal assistant, you tend to choose a candidate who has experience in that industry (whether its real estate, public relations or a law firm). Make quick decisions that are based on their instincts and not an in-depth analysis. The problem is that CEOs consider their personal assistants to be just that – assistants. If you really want to benefit from the assistance of an intelligent, innovative and extraordinary individual, you need someone who you don’t consider just an assistant but somebody who has the autonomy and the freedom to tell you when you’re right and when you’re wrong. The right personal assistant would provide you greater insight about both your internal and external business environment, highlight your strengths and weakness and identify opportunities that you can convert into strengths. If you are able to surround yourself with such an assistant, you will be more productive, more creative and more successful. It might not be feasible to have a personal assistant in your office premises. But there is no reason why you cannot opt for a virtual personal assistant that possesses all these important qualities and more. An efficient and well-trained virtual assistant can provide you support that is beyond administrative tasks. They can be there for you 24/7; they can help you reduce the burden of your existing staff, and they can be more insightful and provide you with an objective and unbiased opinion. Finally, hiring a virtual assistant is extremely flexible. You can increase their hours when you have deadlines or excessive work-pressure; you can decrease their hours when things are stable. At 198TILG VA Agency, we provide custom personal assistants to CEOs. Whether you are an entrepreneur, a small business, a community organization or a big corporation, we are a VA agency that will cater to you whenever you are in need of rare and uncommon daily, weekly or monthly support. Our VA teams are well-trained and qualified to help you promote yourself, your brand, your products, and your services. Let them do this part of your job so that you can focus on your core expert skills. In the recent years, content marketing has seen a major shift from written text and images to podcasts and videos. Video marketing has seen rapid growth as platforms such as more and more online platforms offer companies the ability to promote their goods and services through videos. This includes YouTube, Snapchat, Vine and even Facebook and Instagram where people can share video clips and connect with their target audience. The biggest advantage of using videos to market your products and services is that it is a medium that results in immediate connectivity with your audience. While written text can tell your customers what the product or service offers but a video can bring that text to life. You can tell your customers your story your way. In addition, you can engage with them by encouraging them to comment, question, like and share those videos for increased exposure and visibility. Plan design, develop, edit and produce high-quality videos that are likely to generate interest and go viral. Research and come up with the right video concept, script, and graphics that would attract and capture your audience’s attention. Craft the right mixture of animation and graphic design that is geared towards your target audience. Craft the right type of content that will effectively communicate the key features and benefits of the product and/or service that you offer. Craft a video testimonial that demonstrates the level of customer satisfaction with your products and services. Create and manage your company YouTube channel that will help promote your videos and garner attention on different social platforms. Conduct a thorough analysis comparing your video marketing activities with that of your competition as well as monitor the effectiveness of your video marketing campaign by evaluating the impact of these activities on your sales and revenue. Use these videos to communicate your many offers to your target audience such as a free eBook, free software, free coupon, etc. If you are looking for skill and expertise with respect to video marketing, look no further. 198TILG Viral Video Support Virtual Assistants can help you develop the concept of your videos, create those videos, market those videos and ensure maximum visibility and distribution of these videos. Keep in mind that with so many people actively promoting their products and services through videos, you need to do something that will make your products stand out. This will require the right skill and expertise in the field of Video Marketing. 198TILG VA Agency has that expertise for you. Crowdfunding is a revolutionary method of raising capital. It is done primarily through friends, family, customers, individual investors, philanthropists, donors and any other relevant person who might have an interest in that specific crowdfunding purpose and/or project. Most crowdfunding campaigns are run through the Internet - via social media platforms, independent websites and crowdfunding platforms. The ultimate goal is to expand one's network and reach as many people as possible so that the possibility of getting more and more funding. 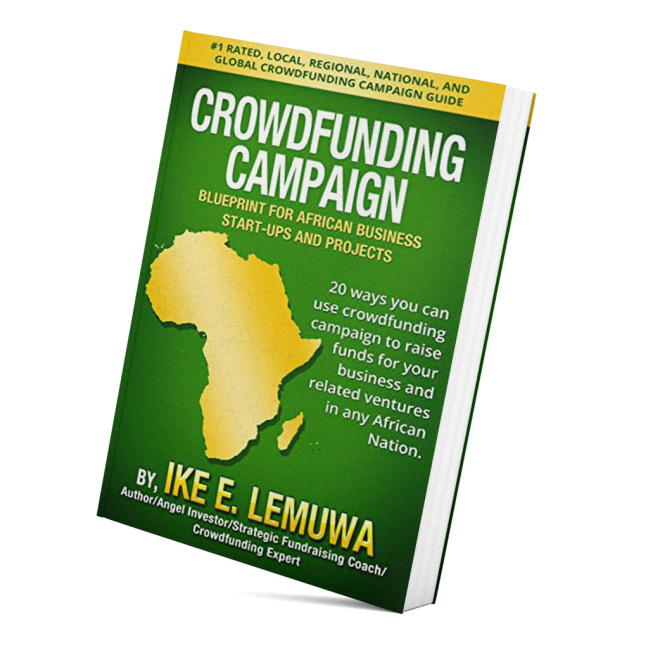 However, crowdfunding campaigns cannot be launched on a whim. Every project that requires funding needs to be properly researched. Competition has to be analyzed; expense has to be outlined, and a budget has to be prepared to be able to determine exactly how much funding would be required for the campaign to be successful. Keep in mind that there are several different types of crowdfunding campaigns. One size does not fit all and just because one campaign was successful in generating capital does not mean that the same crowdfunding strategy would work equally well for another project. Brand the product/service/goal that you are seeking funding for and making sure your market niche knows who you are and what you do. Brand your own community of advocates and supporters and communicating your goals, objectives, and vision. Create presence and visibility at Top 25 media outlets so that your campaign message can be distributed far and wide. Craft your campaign message and test this message to see its effectiveness. Craft a White Paper or eBook that explains the goals and vision of your campaign, what the campaign is for and who it will benefit. Craft a custom crowdfunding campaign video. Craft your giveaways and select item/gift that provides value to supporters. Search and engage influencers within your niche communities. Promote your campaign on the social media. If you are looking to get all the benefits, you should consider hiring Expert 198TILG Mass Crowdfunding Campaign Virtual Support Assistants to help you plan your campaign, locally, regionally, and nationally. 198TILG CIO VA Agency, a division of The Ike Lemuva CEO Networks is happy to assist you in finding the right candidate for your crowdfunding campaign. These virtual assistants will study your campaign, highlight its strengths and weaknesses, conduct research on mistakes made in previous campaigns and outline a plan for avoiding these mistakes and making your crowdfunding campaign a complete success. 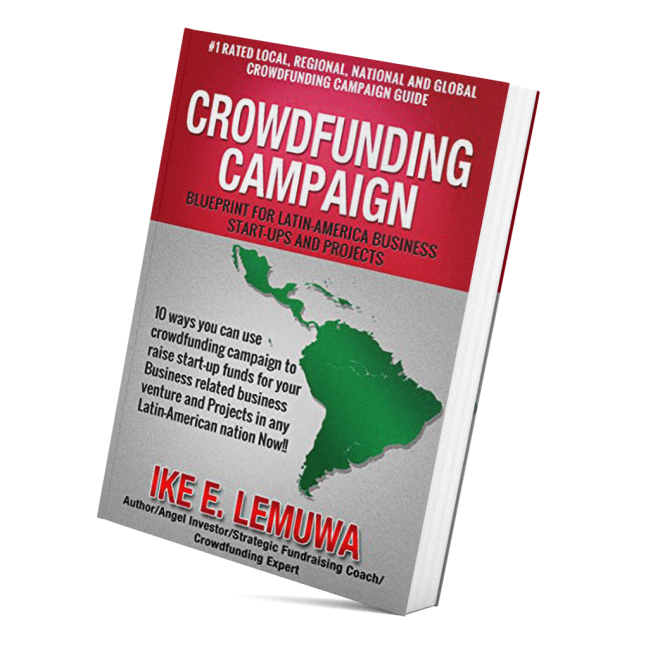 Crowdfunding campaigns require innovativeness, creativity, and responsiveness. You can find all these qualities in the crowdfunding campaigns virtual assistants that will be provided to you by I98TILG VA Agency. Any business that wants to remain competitive in today’s cut-throat business environment needs to come up with novel and innovative products, services and solutions on a regular basis. For this purpose, new product development and new product launch are critical activities for most companies. While product design and development is the foundation of an effective and revenue-generating product line, launching those new products the right way can make a big difference in the success or failure of that new product. Many times, companies invest an arm and leg in research and development but fail to invest properly in the launch campaign. Additionally, there are organizations that lack expertise and skills in planning and executing an effective new product launch. A new product launch support virtual assistant can help you with this particular problem as they would be able to focus specifically on the task at hand and help you develop and execute a marketing and promotional strategy that is most likely to result in the product’s success. It often happens that products that do not have any major features or competitive advantage still turn out to be successful simply because they were launched properly. Consumers often opt for products that may not be exceptional but because the branding and promotional activities convince them that the product is really good. If you are in the process of launching a new product or service and if you believe that your marketing/sales team is too overloaded to plan a good product launch, you should hire a 198TILG New Product Launch Support Virtual Assistant to help you with this task. Not only will this virtual team improve your new product launch plan but it will also help you engage more effectively with your target audience. Creating the right amount of hype and excitement is necessary for any product launch and a new product launch support virtual assistant team can help you achieve just that. 198newproduct Creation USA and 198TILG New Product Launch Support Virtual Assistant Private Labels to support members of The Ike Lemuwa CEO Networks in over 198 to 200 nations. We can help you launch a product in a manner that has never been done before by helping you outline the right launch plan and promotional activities. The 198TILG VA Agency has a team of highly-trained and well-qualified virtual assistants that are able and willing to focus on your projects. Whether you’re launching a product or service locally or internationally, we are here to assist you in finding the right kind of help so that you can derive maximum benefit from the money you invest in marketing and promoting that product or service. The success of a new product is greatly dependent on how effectively you can sell that product’s features and benefits to your target audience. By conducting competitive analysis and by identifying the unmet needs of your customers, a new product launch virtual assistant can help you execute a marketing plan that is likely to make your product or service a success.